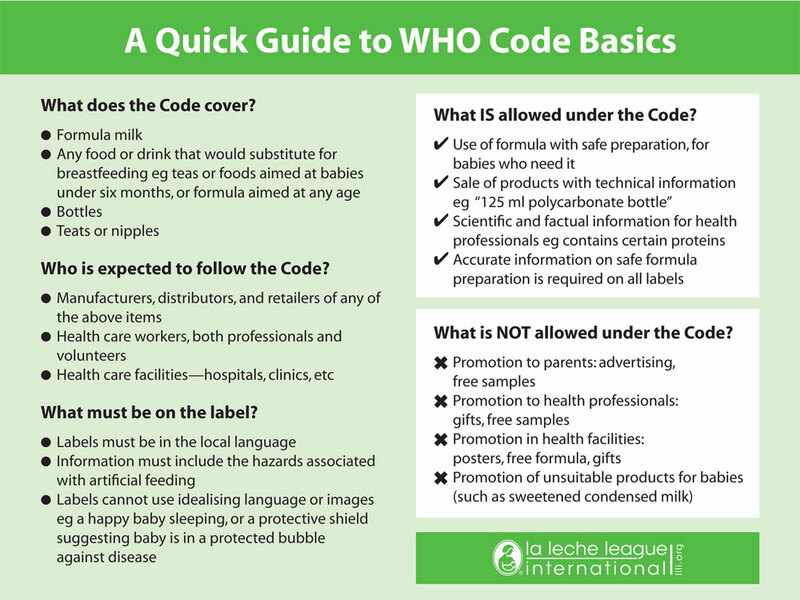 ​The Code is a set of recommendations to regulate the marketing of breast-milk substitutes, feeding bottles and teats. The Code aims to stop the aggressive and inappropriate marketing of breast-milk substitutes. The 34th session of the World Health Assembly (WHA) adopted the International Code of Marketing of Breast-milk Substitutes in 19811 as a minimum requirement to protect and promote appropriate infant and young child feeding.